Composer Robert Schumann struggles to compose his symphonies while his loving wife Clara offers her support. Also helping the Schumanns is their lifelong friend, composer Johannes Brahms. The lives of a small Chinese village are turned Upside down when the Japanese invade it. And heroic young Chinese woman leads her fellow villagers in an uprising against Japanese Invaders. Journalist Steve O'Malley wants to write a biography of a national hero who died when his car ran off a bridge. Steve receives conflicting reports and tales that make him question what the truth about the hero is. Drama about former WW2 soldiers readjusting to civilian life and dealing with their mental and physical traumas. On America's frontier, a St. Louis woman marries a New Mexico cattleman who is seen as a tyrant by the locals. Dramatic story of the influential Hunnicutt family set in Texas during the late 1950s. Unemployed cowhand Jim Garry is hired by his dishonest friend Tate Riling as muscle in a dispute between homesteaders and cattleman John Lufton. Ann Hamilton: I think you wanted people to see the before first. Ann Hamilton: Because otherwise you couldn't take the credit in the after. 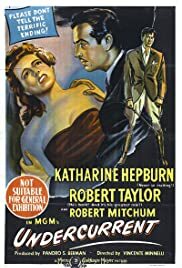 Q: Is it true that Katharine Hepburn and Robert Mitchum didn't get along? 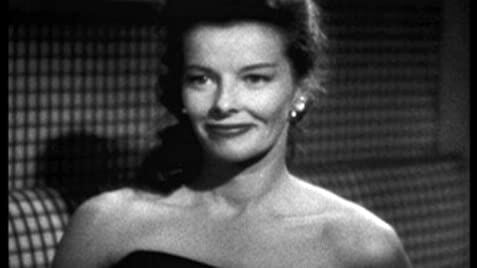 Melodrama with Katherine Hepburn instead of Bette Davis or Joan Crawford? Yes. And it works, though differently. Hepburn rules the movie, for sure, and she covers some range from sweet daughter of a scientist to a rich man's wife losing her innocence to someone who rises up on her own two feet. She's still the classy (or stiff) Hepburn (depending who you ask). I like her, and I liked her in this film a lot. The plot uses a whole range of clichés but uses them well. The slight twists to what you expect are never shocking, but they keep you guessing. The second big star, seemingly, is Robert Mitchum, but if you are a fan of his, don't see the movie for his role. It's exceedingly minor. A very strange contract arrangement on that one. When he is there, it's undramatic, though he's in command, of course. The other male lead, Robert Taylor, is his usual reasonable, appropriate self--carefully chosen words to avoid saying a little starchy and ordinaire. One bit part is predictably colorful, Marjorie Main with her earthy comebacks. Director Vincente Minnelli is in good form here, actually, and if the movie seems routine, it's the story that holds it back. He has some great photography behind it all (Karl Freund), and the score is unusually effective and beautiful (Herbert Stothart). I wouldn't call it a film noir, though it has shadings of the style and it's from that post war dark period. Instead, it's a noir melodrama. Worth seeing, absolutely, if you like those kinds of films.